The Future of Sports Betting - What could go wrong if sports betting was legal in the United States? Editor's note: Part 1 of ESPN's future of sports betting series focused on the paths to legalization in the United States and what the resulting marketplace could look like. Part 2 looked at future bettors -- humans and robots. Part 3 focuses on the pitfalls, or what could go wrong if sports betting is legalized. When Dr. Christopher Hunt first began working at the University of Sydney Gambling Treatment Clinic in Australia, he recalls seeing "one or two" troubled sports bettors every six months. Today, after what he calls the "gamblization" of sports in Australia, Hunt says sports bettors make up one-third of the clinic's patients. If sports betting is legalized, will the United States be headed for a future with increased addiction potentially spurned by a rampant barrage of gambling advertising? Proponents point to the expected economic benefits and increased game-integrity protection of legalization. Opponents say those perceived pluses won't outweigh the pitfalls. "For the two-thirds-plus of Americans who rarely or never engage in commercial gambling, the change will be negative," said Michael K. Fagan, a former federal prosecutor and current adjunct professor at Washington University School of Law. "Anyone fairly and comprehensively evaluating the unbiased, independent academic, health-care and economic evidence readily finds that it weighs in favor of continuing prohibitions on commercial sports gambling." Australia, a country which legalized sports betting around the turn of the century, is a prime example of what America wants to avoid. Widespread legalization of online sports betting arrived in Australia in 2001, but even in a culture with a longtime acceptance of gambling as a form of entertainment, it didn't explode onto the market. In the beginning, mom-and-pop bookmakers competed against the government-owned sportsbook TAB. Teams entered standard sponsorship deals with betting operators, and sports commentators casually began referencing odds during broadcasts. Overall, though, the impact of legalization was minimal and sports betting was looked at as a niche product with niche problems. But trouble loomed. Around 2009, Australians began to notice a dramatic shift in the atmosphere surrounding sports and how the games were presented by the media. International bookmaking companies, with much larger marketing budgets, began arriving on the scene. Soon, advertising for betting could be found near schools and on public transportation. The gambling talk during game broadcasts went from subtle to constant, with commercials from sportsbooks bleeding into the media coverage. At one point, one of Australia's biggest bookies was a regular in the broadcast booth. "All of a sudden, it was like you couldn't talk about sports without making reference to what the odds were, what the prices were, whether they thought this bet was value or this bet was value," said Hunt, a clinical psychologist. "It was what we came to call the 'gamblization' of sport." In 2014 and 2015, Aussies bet $7.1 billion and lost nearly $815 million on sports, according to the recently released 32nd edition of Australian Gambling Statistics. Both figures are records and sharp spikes from the previous year. The data mirrors the increase of sports bettors seeking help for gambling addiction. Advertising is at the heart of the debate in Australia. According to gambling researcher Dr. Sally Gainsbury, the Australian market became so flooded with gambling advertising in recent years that consumers began complaining. "It was similar to what you were seeing [in the U.S.] with the [daily] fantasy advertising," Gainsbury said. "Sports events are just now completely dominated by sports betting advertising. All throughout the sporting events you're seeing these complete bombardments of advertising for betting. And community members are now saying, 'Hey, my kids are watching this.' Gambling was supposed to be put be off to the corner and now it's front and center." The United Kingdom, home to one of the most mature legal sports betting markets in the world, took steps over the past decade to combat socially irresponsible gambling advertising. Betting and gaming companies in the U.K. have been permitted to advertise across all media since 2007, under strict guidelines monitored by the Advertising Standards Authority. The regulations require that advertisements for gambling must not "portray, condone or encourage behaviour that is socially irresponsible or could lead to financial, social or emotional harm." Ads likely to appeal to anyone under 18 or that link gambling to "seduction, sexual success or enhanced attractiveness" also are prohibited. Aussie politicians and regulators are pushing for federal reform to restrict sports betting advertising. But bookmakers counter that if the rules are too strict, they won't be able to compete with unregulated bookmakers. "Advertising is this key and that's what jurisdictions really have to understand when they regulate [sports betting], is the extent to which they enable advertising," said Gainsbury, a faculty member of the University of Sydney and an editor for International Gambling Studies. An increase in problem gamblers? In the weeks leading up to the 2015 NFL season, U.S. daily fantasy sites DraftKings and FanDuel ran a television ad every 90 seconds. At the peak of the daily fantasy sports (DFS) advertising surge, they combined to air almost as many ads (1,285) as there are minutes in the day, according to iSpot.tv, which tracks advertising data. The CEOs of both companies recently signed settlements with the New York Attorney General's Office, which found each company had "targeted users with a propensity for gambling and addiction." Fagan, the former assistant U.S. attorney in Missouri, who successfully prosecuted offshore sports gambling website BetOnSports.com a decade ago, said the daily fantasy media explosion highlighted the concerns about any future with widespread legal sports betting. 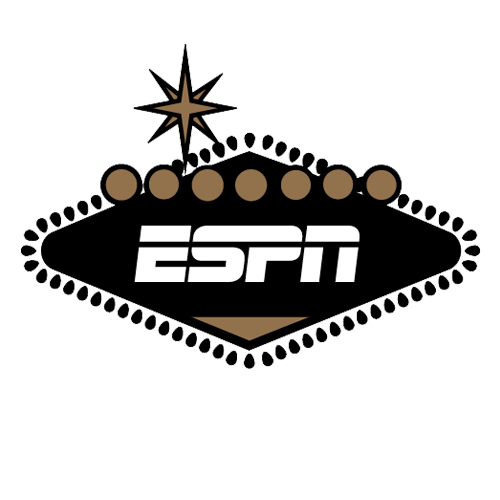 "Expanded and heavily marketed sports gambling significantly shifts the focus of fans from the athletic contest to the pursuit of personal profit," Fagan told ESPN. "Other non-wager-determinative aspects of sport wind up diminished. This means the increased viewership sought by greed-driven, short-sighted league and network executives will be driven to a marked degree by money fans, not sports fans who will have been converted, in whole or part, to money fans, and this will work a change in life in America. "Only the gamblers, in the short term, and those profiting off their losses, in the long term, will see this change as a positive one." Sam Skolnik, author of "High Stakes: The Rising Cost of America's Gambling Addiction," believes the only thing truly inevitable about the future of sports betting in the U.S. is that similar pitfalls to what Australia is experiencing will follow any expansion of legal sports betting. "Voters, state legislators and other stakeholders should start thinking about the potential downsides of what would be a major expansion of legalized gambling," Skolnik said. "You're going to have this pool of new gamblers, and there is going to be a subset of problem gamblers. This is extremely painful for them and not just their families. It's for their employers, the whole communities that will pay the costs of increased gambling addiction." In the U.S., gambling addiction peaked at about 2.7 percent in the late 1990s and early 2000s, according to the National Council on Problem Gambling (NCPG). It has been on the decline ever since, even as gambling has expanded across the nation, and has now settled around 2 percent. At state-run problem gambling hotlines, calls from sports bettors are rare. In 2014, less than 1 percent of callers to the Nevada's gambling hotline identified sports betting as their most problematic form of gambling. In fact, the NCPG does not oppose the legalization of sports betting and will announce a resolution later this year that will lay out recommended safeguards for an expanded regulated market. Keith Whyte, executive director of the NCPG, says unsecured credit betting puts people at risk for developing a gambling problem. "The average problem gambler that seeks treatment has gambling debt twice their average annual income," Whyte said. "The vast majority of that does not come from formal casino credit. It's either personal credit card or credit from a bookie, informal credit. [For problem gamblers], the substance abuse is money. If you're at risk for a gambling problem and you're betting on unsecured credit, if and when you start to lose, you can rapidly find yourself in severe problems." At a September gaming conference, four respected Las Vegas sportsbook directors were asked how many games in the past three years they had deemed suspicious enough to contact authorities. "None," said Bob Scucci, a veteran bookmaker who ran the Stardust during its prime and is now in charge of all the Boyd Gaming sportsbooks in Nevada. The other three bookmakers nodded in agreement. If games are being fixed, no one's seeing it in Las Vegas. Nevertheless, nearly a century after the infamous Black Sock scandal of 1919, the negative link between gambling and game integrity remains the No. 1 concern for sports leagues. But does the current environment better protect the integrity of the games, when the bulk of the money bet on sports in the U.S. takes place in an unregulated market? Challenges to game integrity were cited repeatedly in the lead-up to Congress passing the Professional and Amateur Sports Protection Act (PASPA) in 1992. PASPA was designed to protect sports leagues from the perceived ills of sports betting spreading across the country. But that argument has now been somewhat flipped recently. As discussed in part 1 of this series, professional sports leagues are increasingly of the belief that a regulated sports betting market that allows wagers to be transparently tracked would help protect the integrity of their games, not hurt it. This is consistent with recent partnerships with big data companies by the professional sports leagues, representing a profound shift in the leagues' position on line monitoring, the task of tracking gambling data in an attempt to identify unusual moves or unnatural money. "The issue of sports integrity is something that always comes up," said Michelle Minton, consumer policy specialist who has opined on sports betting legalization as part of the Competitive Enterprise Institute, a Libertarian think tank. "The argument is if we legalize sports gambling, the games will be rigged, people will be taking dives, et cetera. I think that's a red herring argument. I would make the argument that it's less likely to cause match-fixing." Legalization won't, however, eliminate attempts to compromise games for gambling purposes. There will be gambling scandals in the future; the hope is that maybe they'll be detected sooner. "It's big money," Minton said of the American sports betting market. "Anywhere there's big money there [are] going to be scandals. In the financial industry, there [are] always scandals. I'm not sure why with gambling, it's always considered such a landmark case every time a player or handful of players do something wrong. They're just people, and people do things wrong all the time in every industry." Tennis, which is second only to soccer in terms of global betting interest, has dealt with significant match-fixing issues, raising red flags for experts. "Who exactly is supposed to be responsible for such oversight and policing?" Michael Mewshaw, an industry expert and the author of several books, questioned. "As we see in the NFL, it's had no end of trouble simply enforcing the rule about properly inflated footballs." Whether in three years, five or a full decade, the normalization process that leads America down a path toward nationwide regulated sports betting is expected to be complete. With it, passive fans rooting for a favorite team or player will increasingly be replaced by active sports consumers with a financial stake in the action. Technological changes, evolving societal views and increased media coverage have contributed to wider acceptance of sports betting. Over the course of ESPN's four-month inquiry, the inference from the evidence was clear: The vast majority of the key stakeholders -- operators, bettors, broadcasters, advertisers and sports leagues -- are positioning themselves for Adam Silver's "inevitable" arrival of expanded legalized sports betting. Indeed, in 2013, the NCAA, NBA, NFL, NHL and Major League Baseball filed a crystal ball-worthy document in the New Jersey litigation and argued that they "have an essential interest in how their games are perceived and the degree to which their sporting events become betting events." "The current U.S. approach to sports betting is not working," wrote a five-person panel of former federal and state law enforcement officers in a 15-page report released by the American Gaming Association last month. "An open, transparent, regulated sports betting market boosts law enforcement oversight." Such conclusions stand in sharp contrast to statements like those made by former U.S. Senator and New York Knicks player Bill Bradley, the chief supporter of PASPA during Congressional hearings in 1991. "Athletes are not roulette chips, but sports gambling treats them as such," wrote Bradley in a 1992 academic article. "If the dangers of state sponsored sports betting are not confronted, the character of sports and youngsters' view of them could be seriously threatened." Now, NBA players, led by their union, are looking at sports betting legalization as a commercial opportunity. "We're all on the same page as Adam [Silver] and the NBA," Jordan Schlachter, chief marketing officer at the National Basketball Players Association, told ESPN during the summer. "It's an opportunity to grow the game. It's an opportunity to grow the exposure of our players. We're in the business of supporting our players and looking out for their best interest." Sen. Bradley's position has now been turned on its head, with the dangers of massive unregulated American sports betting market a focus now more than ever. PASPA turns 24 years old on Oct. 28. Most experts don't see the federal ban on nationwide sports betting celebrating its 30th. The next few years will reveal what the epitath on PASPA's tombstone will say and what's in store for the future of sports betting in America.